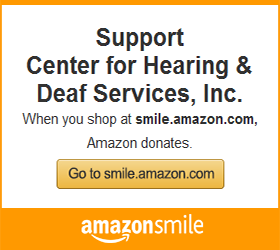 The Center for Hearing & Deaf Services, Inc. (HDS), a non-profit agency, has been in continuous operation since 1921. Our professional staff provides a wide range of services for people who are deaf, hard of hearing, or have other communication needs. 1011 Old Salem Rd, Greensburg, PA 15601-1034, Telephone: 724-832-7600 (voice/TTY) or VP 724-216-0149. Call for information or an appointment or contact us. View or download our brochure. Our mission is to provide a diverse and affordable program of quality diagnostic, rehabilitative and supportive services to meet the unique challenges of children and adults who are deaf or hard of hearing, or have other communication needs, and to serve as an information and referral source for these populations and the general public. The vision of HDS staff is to be caring professionals serving people with excellence, dignity, and trust.